Traditional sash windows are renowned for being noisy and draughty as well as being difficult to operate. 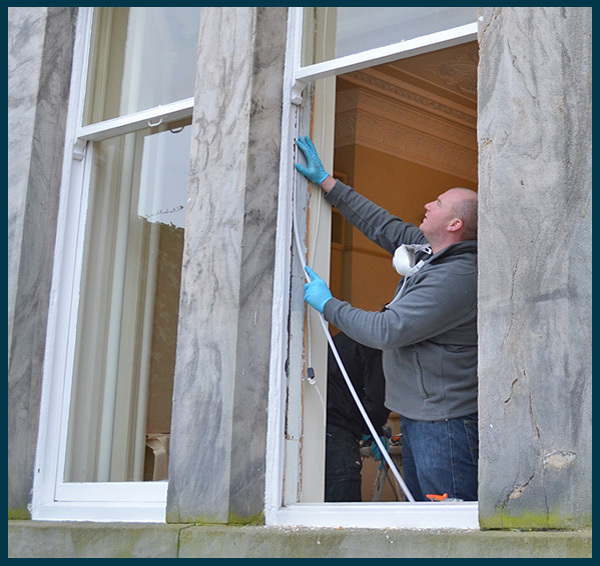 These issues are due to the tolerance gaps which allow the sash window to slide up and down. The tolerance gaps on the average sash window usually add up to around 6 square inches. The installation our our unique perimeter draught seal system can reduce heat loss by up to 90% as well as reducing noise, eliminating rattles and ensuring your windows glide effortlessly within the existing box frames. The perimeter draught seal system was specifically designed to bring traditional windows into the 21st century without compromising the traditional character and charm of the windows. Whilst being very discreet and aesthetically pleasing the perimeter draught seal system can be installed into windows within a conservation area or listen building without the requirement for planning permission. 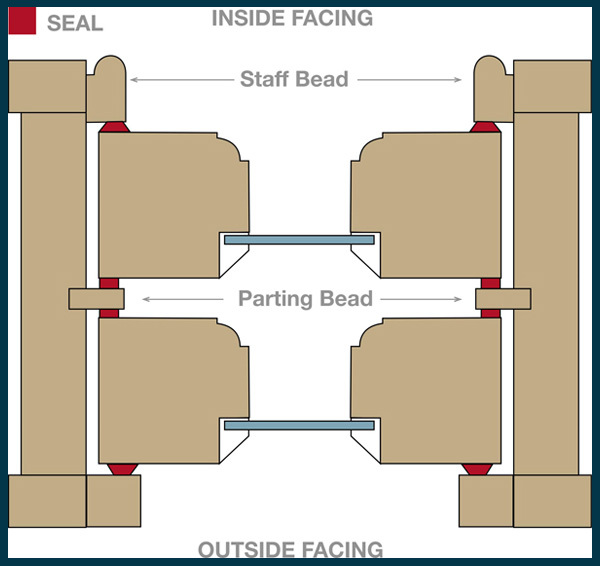 Should you choose to have your windows overhauled and the perimeter draught seal system installed you will also benefit from the installation of replacement parting and staff beads as well as replacement sash fasteners and sash lifts from our hardware range. The perimeter draught seal system employs the methods recommended by Historic England and English heritage for the upgrading, renovation and preservation of period windows including Georgian, Victorian and Edwardian propertys.